‘Tis the season to be nesting. Every year from August to October, two of Costa Rica's three sea turtle species lay most of their eggs on the coastlines: the Green Turtles in Tortugero National Park (Caribbean coast) and Olive Ridley Turtle in Guanacaste (Pacific coast). There are seven species of sea turtles found in the world, all of which are endangered. Therefore many animal lovers fly to Costa Rica to do their part in assisting with turtle conservation projects set up by Costa Rica-based organizations. Costa Rica Outward Bound is one of these organizations. And this week, students from two of our fall semester courses, Water & Wave and Tri-Country, are sacrificing their sleep to help out on the beaches of the Pacific Coast. The beaches must be maintained because, in the off-season, the sea turtles stay in the water. When it is time to lay their eggs (mainly between August and October), they exit the water and follow the moon to find a safe spot to lay them. Because they do not see very well, they are confused if the beach has too many obstacles and no place to go. Volunteers, including our students, clear the beaches maintain safe places where turtles consistently go to lay their eggs year after year. In addition, poachers steal eggs, and predators eat them. Turtle eggs are a delicacy and can sell for a lot of money. As night time is both the time when eggs are laid and the time when poachers and predators make their moves, conservationists set out around midnight and again at 3am to safeguard eggs and relocate them to safer places. Costa Rica Outward Bound’s students make these patrols every night while camping on Playa Hermosa. Through these efforts, CRROBS students and conservation organizations all over the country hope to repopulate the beaches with these adored creatures. To read more from a previous CRROBS newsletter, click here. Our three fall semester courses, Tri-Country, Water & Wave, and Leadership, are all daring Costa Rica's world-renowned clean waterways this week. Rivers, estuaries, surf breaks, oceans, waterfalls... they're experiencing it all! Water & Wave and Tri-Country students have combined courses this week on the Pacific coast. The first day of their "combo course" was on Tuesday on our Manuel Antonio base (Click here for a satellite map; the arrow is about one inch west of where our base is located) when surf instructors Carlos "Diablos" Castro Montero and Alex Cook immediately began teaching surf basics to the Tri-Country students who just arrived that day with their primary instructors, Donna White and Santiago Lopez Salazar. And since then, they've been even more active. All four CRROBS instructors have led the students north to a peninsula called Isla de Damas where they kayaked down an estuary in duckies (a.k.a. inflatable kayaks or IKs; see picture on right) into the ocean. It is there where they will camp and surf. One of the most important reasons for going through all of this trouble to get to a new beach? Uncrowded waters. Leave it to CRROBS' surf instructors to know the best beaches for enjoying the "barrel" experience. Carlos reported yesterday "all of the students are doing really well." In other areas of Costa Rica, the Leadership students spent Day Number Two busing to Taos, their "put in" (rafting term for where a rafting trip begins) at Río Pejibaye. Whitewater rafting experts - and CRROBS instructors - Felipe Lopez Salazar, Joe Ewing, and Carlos Granados Flores will guide these new leaders for nine days down the river to their "take out" (rafting vernacular for the point at which rafters exit the river) in Puente de Oriente. Río Pejibaye is a Class II-III river here in Costa Rica, which is no sweat for our rafting guides who frequent the class IV-V rivers. Leadership students will have no problem following instructions; from what we've heard from their instructors: "This is a great group of students." If you are a past student, an instructor, or a wilderness enthusiast, you have been in this situation: the fire won't build, and you're hungry. Hopefully, you finally succeeded, or maybe you resulted to eating raw food. In the case of the latter, we have gathered a few tips to help you the next time you are starving in the wilderness. Or if you are a serious camper ready to make your own stove (and avoid the struggles of building a fire), see this 1.5-minute video for making a do-it-yourself stove out of a can, a tac, a razor, antifreeze, a piece of tape, and a small piece of insulation. The most common drink – and probably most common souvenir as well – in Costa Rica, is coffee. Coffee plants are NOT native to Costa Rica! (Neither are bananas, but that’s another blog at another time.) They arrived in the late 1700s in a serendipitous import – the “coffee barons” were so successful that locals began calling coffee beans “granos de oro” (grains of gold). In fact, Dictator Braulio Carrillo began giving away land if the new owners promised to farm coffee! He wanted to take financial advantage of the European demand at the time, and it worked. Costa Rica’s middle class grew rapidly, and was at an advantage with a much smaller stratification among classes than the rest of Central America. The downside? Basic foodstuffs weren’t being grown for locals. The importing then planting of banana trees in the 1870s (again, a later blog article) helped palliate the overpowering coffee farming. Now do you understand why Starbucks charges so much? Neither do we. Fact: Costa Rica’s first gourmet coffee producer, Café Britt, is owned by one of CRROBS’ very own board members, Steve Erickson! Be on the lookout for Café Britt as it slowly makes its way into the States. And what’s more, he has even come up with a line called “Tres Rios” – the town where we live. 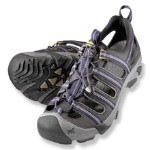 Packing List: Which Water Shoe? 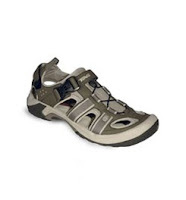 "I was going over the suggested packing list and came across the mandatory non-velcro sandals. I was just wondering if a water shoe (also known as a Water Sock) is ok or does it have to be a sandal? I just kind of wanted to know how essential they are and if you really need a water hiking sandal." "Yep! Those are just fine! You need something that won't fall off, has traction on the bottom, and will dry easily. FLIP-FLOPS ARE NOT SUFFICIENT. The water socks you show will work great." Danny, one of our long-time river instructors, explains more in this video. 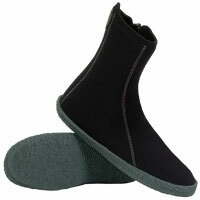 *If a student is also scuba diving on his/her course, neoprene booties are an option for both rafting and diving. Wearing these with fins can cut down on rub burns fins can cause. Homestays are a big part of our programs down here at CRROBS. We have great relationships with the families, and the students love their interactions with these Ticos. One of our families, Parra Mora, is welcoming our Colegio Europeo students today in a place called Ranchos Tinamú. Visitors' Description: "This is literally, one of the must-see land paradises in Costa Rica. Located 30 km from Quepos, Ranchos Tinamú transports you into a world of green landscapes, a marvellous climate, adventures, rich experiences, flowers of every color, health and family hospitality. What began as a dream, today is sustained by a big family that that puts its heart - full of care and dedication - into every service offered to every visitor. The strategic locatio nof Ranchos Tinamú brings forth the possibility of connecting routes of adventurous hikers between the Central and Middle Pacific of Costa Rica, passing from the highest areas of cloudy and cold climates to the lowest lands close to the Pacific Coast with rainy and warm tropical rainforests. From the eating patio of Ranchos Tinamú, pay attention to the sweet-toothed hummingbirds of Doña Consuelo's garden and the green mountains lying on the horizon." The Family: Parra Mora, composed of Don Santiago, Doña Consuelo, their three older daughters and three younger sons. All of them play a part to support eachother and the Ranch.